ZKS Martial Arts, martial arts for the whole family. ZKS Martial Arts an award winning martial arts group that specialise in children's martial arts. Classes available for 3 years and over in Buckinghamshire and Hertfordshire. 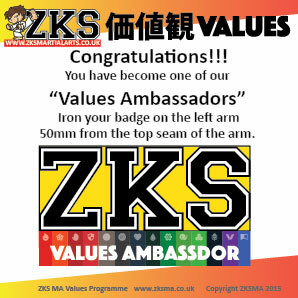 ZKS Martial Arts are an award winning group and we are very proud of the service that we offer to all our members. 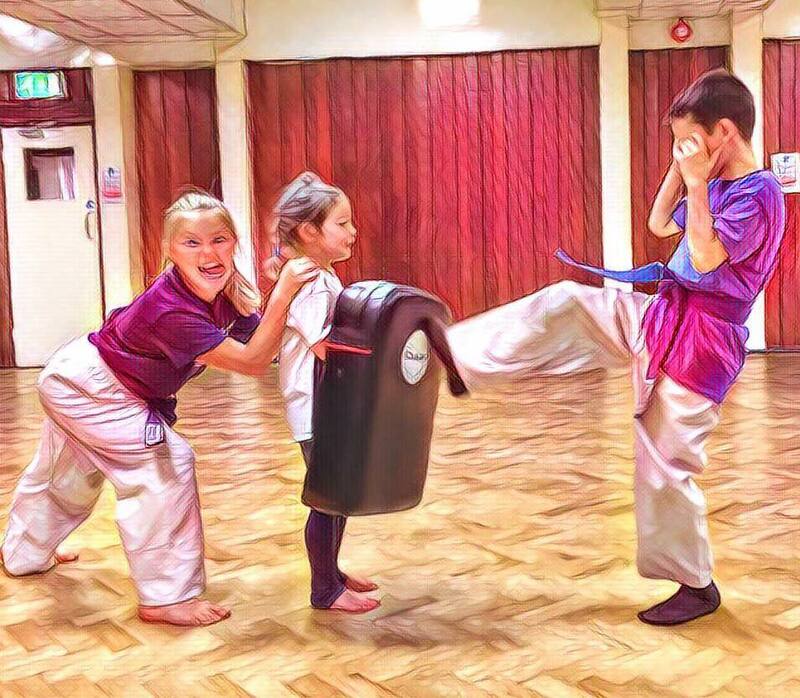 Our aim is to provide a fun, safe and informative class structure that will be aimed at the correct age range. We have spent many years designing and perfecting programmes most suitable for each age group. We even have a system that will work with children as young as 3! ZKS Martial Arts are based in Buckinghamshire, Oxfordshire and Hertfordshire we have over 600 members in the area. We offer over 55 martial arts classes a week which include aspects of Karate, kick-boxing and Jujitsu. People sign up to martial arts for different reasons whether it's learning self defence or just something to getting fit! Our Lil Dragons courses are aimed at preschool children, aged 3-5. They are ideal for children who have an interest in the arts and give them a brilliant springboard into joining our Novice classes. As with most activities for younger children, they will learn through play. Our martial arts games will ensure they are learning without even realising it! Progression is tracked on reward charts using stickers to keep the kids excited by their progress. From experience, we know children of this age cannot commit fully to an activity for more than a certain time, so Lil dragons classes are just half an hour per week, and classes are small to ensure each child gets Sensei's full attention. Lil Dragons is separated into many different levels/belts, more of which you will learn about as your child progresses but broadly speaking each part of the syllabus should take around 12 weeks. What we do teach and build upon are sharing, self control, respect, discpline, strength, personal safty awareness, body awareness and of course fun. Children can start with us at any time, as their 12 weeks starts when they do. Novice Classes (aimed at 5 to 9 years old). (Beginners Class for White,Yellow and Orange Belts). Our Novice classes give our students a really good introduction to all the basic elements of our martial arts programme. We cover three main units in our programme; Basics, Throws and Kata. Most students stay in this class for about 2 to 3 years and then progress to the advanced class. Depending on their ability, age and size, students may be invited to complete an extra unit covering weapons. ADVANCED (aimed at 8 to 12 years old). Teen/Adult Classes (aimed at 13 and over). Beginners Class for White,Yellow and Orange Belts Our Teen/adult classes give our students a really good introduction to all the basic elements of our martial arts. We cover three main aspects in our programme; Self defence, kick boxing and grappling. We also run our own adult ZKS Brazilian jiu jitsu classes at Nascot Wood Junior School. We run this class in association with RGA Bucks. To find out more about our class go to our BJJ site. ZKS Martial Arts offer great value for money on all our membership tariffs. We always offer a FREE Trial to those interested in our classes and we don't take any payments up front. If you decide that you like our classes then the next step is to send back the Direct Debit form , which is a simple and easy way to pay. We do charge a one off Joiners fee of £16.00 to our 3 - 4 year old members and all other members we charge a £26 joining fee. We offer family discounts and you may find special promotions on our Facebook page. £26.00 One off joining Fee. Want to book a FREE Trial?. Signing up for a free trial is simple. Check our Timetable below to find a class then go to sign up for your FREE trial. We have a variety of classes that we operate from different venues. We have listed the timetable based upon the age group below. Classes held on Tuesdays for 3 - 4 year olds and 5 - 12 year olds. Classes held on Wednesday for 5 - 12 year olds term time only. Classes held on Thursdays for 3 - 4 year olds and 5 - 12 year olds. Classes held on Mondays for 3 - 4 year olds and 5 - 12 year olds and Saturdays for 5 - 12 year olds term time only. Classes held on Thursday Morning for 5 - 12 year olds (school pupils only). Classes held on Monday,Wednesday and Saturday for all age groups term time only. Classes held on Wednesday Morning for 5 - 12 year olds (school pupils only). Classes held on Tuesday for 3 - 4 year olds and 5 - 12 year olds term time only. Classes held on Friday for 5 - 16 year olds. Classes held on Tuesday,Wednesday, Friday and Saturday for all age groups. We have relished in the success of ZKS MA and being the best martial artist you can be, also relies upon students embracing working towards many positive life values that martial arts can give. We have put together a rolling 2 year 'Values' programme included free in our membership, aimed at age 5 - 10 year olds. Over a 2 year period, children will aim towards demonstrating the following 14 values and life skills alongside earning their belts. One value will be covered roughly each half term. Our aim is to produce confident well rounded individuals that can take something from our classes to help them become ambassadors of good values. If you are interested in one of our classes then why not book in for a FREE trial? We never share your information or use it to spam you, we just want you to know about all the fun stuff we are doing! ZKS Martial arts classes can be found in various locations and we welcome anyone that wishes to try Martial arts! 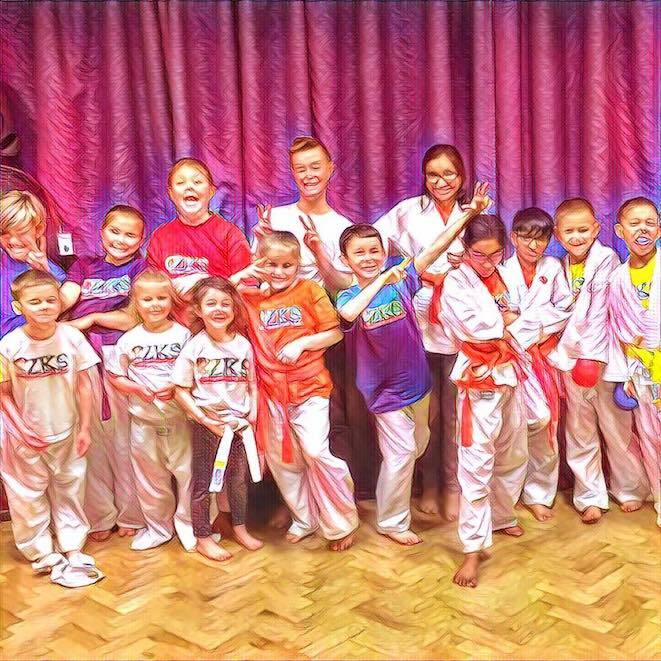 We have Martial arts classes in Aylesbury, Haddenham, Hemel Hempstead, Long Marston, Princes Risborough, Watford, Wendover, Weston Turville and Wingrave.